For Earth Day I decided to do something different. Instead of writing a story about the history Earth Day or a review of a good book on natural history, I decided to share a school assignment, tied to the idea of sharing what state forest departments do. Many people do not know what I do to pay the bills. Until writing articles allows me to stay home full time, I am one of two administrative assistants for the Nevada State Fire Warden. But let me start with what we don’t do, and why some days it doesn’t pay to get out of bed. Caller: “Would you please come over to my house, pick up the dead quail in my front yard and tell me why it died”. Me: No, ma’am, we do not offer that service. I suggest calling Fish and Game or your local animal control office”. Me: Please hang up and call 911. Me” If you see smoke and fire where none should be, it is an emergency”. It might surprise people to know that even though we work in the woods we don’t deal with animals, dead or alive. Yes we do help put out fires, but we are never the first you should call if you see one. We respond after local authorities ask for our help. Our focus is wildfire prevention and improving our state’s natural resources. My school assignment was to interview a scientist, hopefully one whose work complements climate change mitigation. Luckily for me David Howlett, one of my co-workers is such a scientist. I hope you enjoy the interview: Happy Earth Day! I reached out to David Howlett, a soils scientist. David received his Ph.D. in Soil Science at the University of Colorado. I just happen to work with David at the Nevada Division of Forestry. David has been with our agency for about 6 months and already has established quite the reputation as a climate scientist within Nevada. David I sat down for lunch last Wednesday, and ended talking for two hours on everything from why climate change is hard for many to accept, to why Neil de Grass Tyson is such a hero to the science community. We disagreed on the subject of the lack of the general public education as it pertains to climate change, but over all I learned a lot about David and what government agencies are doing to mitigate the effects of carbon pollution. David grew up in Las Vegas, where trees are rare. He did not grow up thinking much about the natural world and our place in it. It took a stint in the Peace Corp to bring the scientist out of him. He originally wanted to teach philosophy to bright-eyed college students. During his time in the peace core David learned about carbon in the soil and the damaging effects that deforestation has on carbon release. David learned that deforestation is releasing carbon into the atmosphere at an alarming rate. The general public equates industrialization with carbon pollution but it is actually the tilling of millions of acres that is doing the most damage. This has a double effect on the earth, as the soil is losing carbon which is a vital nutrient for Earth’s plants and trees. Not only are we taking trees down, we are weakening those that are left standing. David and other soil scientists are on a mission to figure out how to capture air borne carbon and put it back into the soil. Soil science owes its paradigm shift to Johan Six and his model for calculating carbon release. Here is a wonderful video of Six explaining agricultural air pollution http://vimeo.com/24628895. Before Six came out with his model of carbon release, science assumed carbon release was a natural by-product of plants. 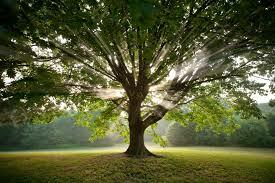 Most of us were taught that trees are the lungs of the Earth, and carbon release is a natural ‘exhale’ by plants. Six proved that agriculture and deforestation is responsible for most carbon escape into the air. Here is a wonderful article written to help the California agriculture communities mitigate pollution based on Six’s work http://ucanr.org/sites/ct/files/44381.pdf. David explained that each year air quality tests are done in Hawaii. Hawaii’s air is seen by scientists as the perfect example of universal ambient air mixture. These tests show that CO2 pollution is on the rise. The ideal number is around 350 parts per million (ppm), right now we are at around 387ppm. His job is to figure out how to decrease the numbers. So what does David do? Well, David is excited to once again be out in the field doing hands on work. He had worked in research, and considered working with Johan Six at the University of California in Davis. But as he put it, research is not very rewarding. You do the research, prove a hypothesis (or not) then move on. David wanted to see science in action, which is why he took a job with the Division of Forestry. David is working on two big projects; developing grant funding on tree planting for county use and working with one of our resource managers on developing carbon mulch for commercial use. David is encouraging urban tree planting, as plants capture more carbon than they expire. He is also going around Nevada accessing statewide tree health. The more we understand the effects agriculture and mining has on our soil the better our understanding is of our use of “natural resources”. The carbon mulch is made by burning wood (from wildfire mitigation work- that could have been another interview) without oxygen, thus keeping the carbon from being released into the air. Think of it as a slow burn in a airless oven. The result is small clumps of carbon that will be turned into deep soil mulch. The Nevada Division of Forestry will be using this mulch in conjunction with our urban tree-planting project. Over the next few years David will be monitoring the growth of the trees and testing the soil. The goal is to find out if man is able to capture carbon and put it back in the soil. This would help both man and our plant life. How cool is that? Somewhat interesting. You sound like an intellectual, but really need to do spell check. You have misspelled Peace Corp, which kind of discounts David. Hi and thanks for stopping by. Hmm, only 1 spelling error, not bad. I am dyslexic and often make small errors. Stop by more often, you may find more errors to correct. Next Next post: Shakespeare Day! Words! Words! Words!